I know — this is grounds for eviction from my gender. But if you’d once gone into every shoe store in your hometown, asked if they’d sold your size, and they all said “no”, you’d hate shoe shopping too. Long story short: thank goodness for the internet. Maybe it’s not worth it for shoe stores, except specialty stores in major metro areas (thank goodness also for Nordstrom) to stock my size, but on the internet I can shop by my size and never have to see all those adorable shoes I will never be able to wear. Funny thing, though: I was talking to @Zappos_Service yesterday and they mentioned that narrows tended to go out of stock as soon as they got them. Wait, what? All this time I assumed that no one stocked my size because no one wears it, so there wasn’t an economic case for it. But apparently there is more demand for narrow shoes than vendors can meet and somehow the invisible hand is failing to make money off of this. Whuh? I think what we have here is a problem of perception. When I talk to people who don’t wear narrow shoes (particularly people with wide feet) they don’t realize I have a problem finding shoes. They assume stores carry my size, and that finding narrows is easier than finding wides (demonstrably untrue). People, including shoe salespeople, will tell me that this brand runs narrow as if that is useful (it isn’t; please stop saying that). So wait, how did my cranky rant have to do with libraries again? I mean, under normal circumstances I think of, e.g., Amazon as having a huge advantage over libraries on the long-tail front, for all that WorldCat and ILL and consortial borrowing help with that. Eric Hellman posited recently that a library is a collection organized for the benefit of its community. And it’s that spirit that’s generally lacking in my shoe-shopping travails. The profit motive should be enough…but it’s not, if people misunderstand the nature of the problem. If they think that stocking 8.5Bs that “run narrow” will result in sales to the narrow-footed among us, they will merrily stock them as their AA and AAA and AAAA widths fly off the shelves, unnoticed. What’s needed is some sort of conversation, where I can say, so yeah, I have these mutant feet, how can we work together to clarify assumptions? to bend the rules for me? And it’s that kind of conversation that, ideally, libraries — human intermediaries — are well-suited to provide. In other words, the internet works great for you if you’re in the long tail of stuff that gets made. If you’re in the longer tail of stuff that doesn’t — if you need some sort of DIY, bespoke, creative solution — libraries can, at their best, make that work. 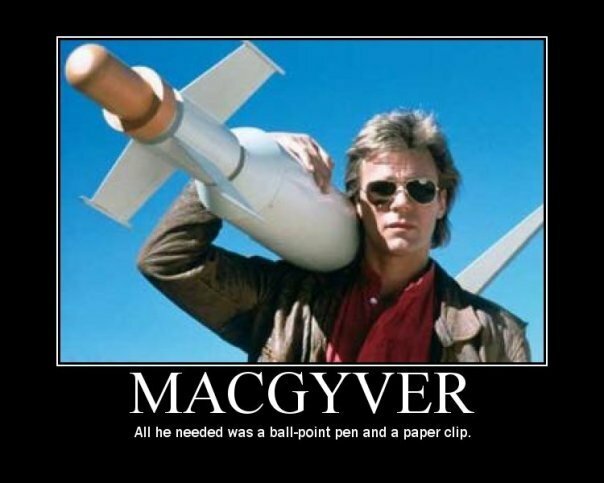 Library sherpas are great and all, but maybe I’d rather library MacGyvers. I feel your pain — only not in my feet. Usually, I feel it right across the breasts. There was an excellent article on Slate that enumerated the economic reasons that stores stock fewer plus-sized clothes than they do normal sized clothes, but my Google Fu fails me. I wonder if there is a metaphor here between bespoke clothing (bras, shirts, shoes) and on-demand print or e-Readers? I find that one of my major frustrations in life is the fact that industrialization assumes I’m a size 12, B-cup, normal-width footed woman who likes romance-centric novels. I have normal feel, but would love to buy (urban fantasy) books that don’t have a relationship at the core, but that’s not what sells, so they don’t really exist. And like I said, don’t get me started on bras. I’m pretty sure I saw the Slate article you mention — at least I remember having read a really interesting article to that effect. I bet there is such a relationship, too. My husband was telling me the other day about some sci-fi book that caused a huge kerfuffle because the cover illustration was of a white person — and one of the major plot points of the book was that the protagonist was a person of color. But cover illustrators seldom read the books (…don’t get the authors started on that), and it’s too much time and effort (apparently) for there to be any sort of communication or customization, so there’s just this template — “sci-fi? white people. check.” So basically, these marketing/branding categories make it impossible to market/sell particular sorts of books — which, in turn, makes it impossible to determine that there’s a demand for them. I bet your genre is one of them (a good friend of mine likes to read/write that genre but I gather it’s not exactly easy to sell…). Which is to say, yes, this sounds like exactly the sort of place where a conversation is in order — where maybe existing assumptions about the shape of the market are making it impossible for the market to operate properly, and what’s needed is a bit of MacGyvering. You have 6 toes? Awesome! I was going to recommend these: http://www.vibramfivefingers.com/indexNA.cfm but with 6 toes, that won’t work. There are some other companies that make barefoot-style shoes, so you might try those. There’s lots of info at http://birthdayshoes.com/, as well as other sites. Sorta yeah! They removed one when I was a baby, so now I have five toes oddly assorted, but I started off with 6. My husband got a pair of the Vibrams just yesterday and they’re pretty red, though I’m skeptical that the adjuster would suffice to get the right width. But if there’s other manufacturers, it’s worth a second look…I guess the less architecture there is in the shoe, the less likely any of it can hurt me? I’ll check the link, thanks! 9.5 AAA here, and Munro shoes have changed my life. I curious if you have any other brand to recommend? Since now that I’ve found something that works I don’t actually look at anything else, but it might be kind of nice to branch out. My passion for my Sofft heels is essentially boundless. I’m also a fan of the entire shoe department at Nordstrom (my mom found two pairs of 8.5AAAAs in a Nordstrom in Seattle in 1969 and has been cultishly devoted ever since — chances are good they have actual options in your size, and if you don’t they’ll order them for you to try and not, I think, obligate you to buy them).